Where do the days go? Was your week a busy one? I hope you plan on getting your Splendid Sampler block done! The Checkerboard is an easy one. I love seeing all the variations out there. It's Easter weekend for those who celebrate. Frankie will be home for a couple of days and it will be fun to hang out with her. Will you have big doings? Hope it's fun and springy wherever you are. 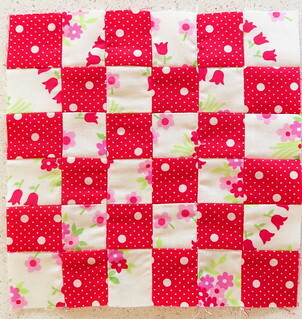 Gorgeous....I love the checkerboard pattern especially in red and white! Hope you had a happy weekend!